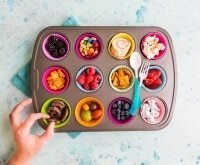 If you grew up believing fruit snacks came in colorful boxes and plastic packs, you might be delighted at just how easy it is to make healthier, homemade fruit snacks. 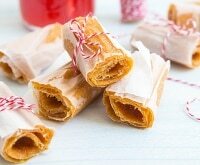 With just four very basic ingredients, you can create a batch of honey-sweetened gummy treats that taste just as good as the store-bought kind — only so much better for you. 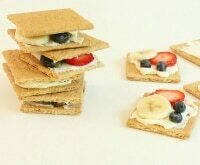 Fruit juice, gelatin powder, honey, and pureed fruit create the base for these yummy gummies. A quick mix, a snappy zap in the microwave, then pour into a baking dish or mold and place in the fridge. So simple! 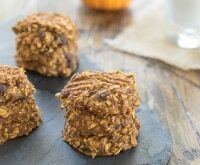 Looking for even more healthy and delicious homemade snacks? 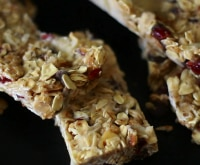 Try these 10 sports snacks, 7 peanut-free snacks, and our recipe for homemade fruit leather. Yum! 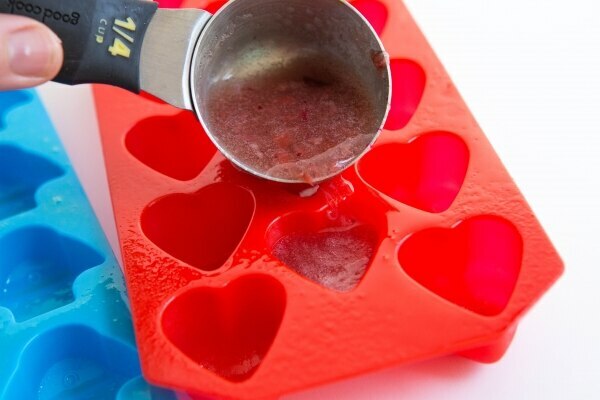 To create your own fun-shaped fruit snacks, you’ll need a silicone mold tray. 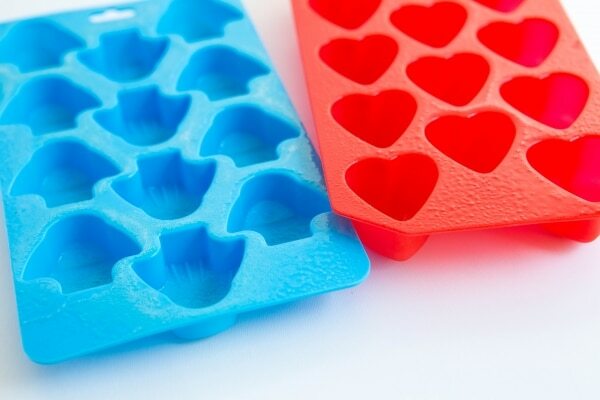 These molds are incredibly affordable, typically between $5-$10 per tray (most trays make 10-15 small gummies). 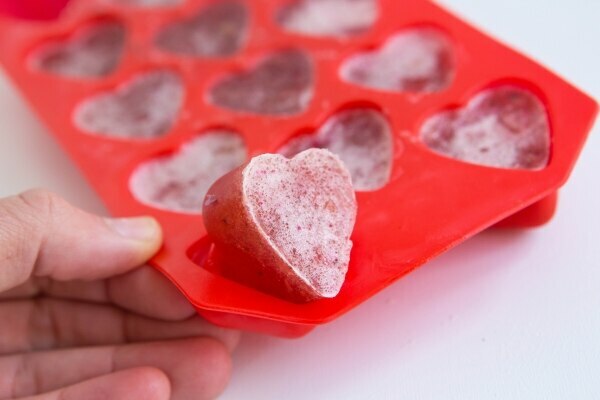 They come in a variety of shapes and sizes — hearts, robots, gummy bears, stars, fish, etc — and can be purchased in the ice cube tray section of most grocery stores, the candy-making aisle of most craft stores, or purchased online and shipped straight to your front door. Shop for fun silicone molds at Amazon! When shopping for silicone molds, look for the softer silicone, which work best with gelatin-based treats. Because they aren’t overly stiff, the softer molds make it easy to pop out your homemade gummies without tearing or ripping the gelatin. 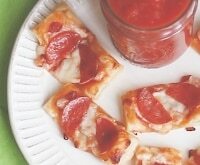 Once you’ve made your snacks, simply wash the mold in soapy water and store until ready to use again. Silicone molds are incredibly sturdy and can be used hundreds of times when well cared for. Once you’ve got your mold, it’s time to make some fruit snacks! 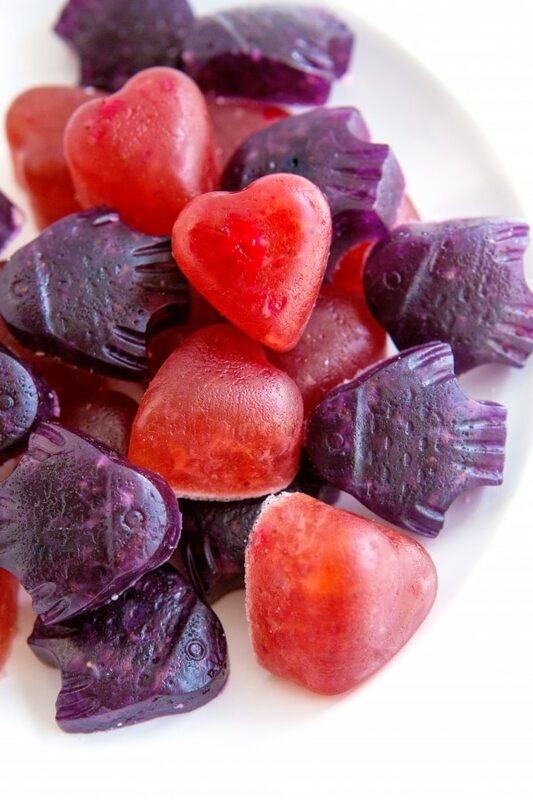 Here’s how to prep a batch of these gorgeous gummies. 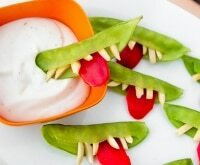 Watch close, this kitchen craft goes quick! Start by mixing your ingredients together in a large bowl (you can find the full recipe below), then pour into gummy molds and place your gummies in the freezer. After about an hour, simply pull the gummies from the silicone mold. Just like that, you’re done! These gummies will be firm enough to be stored outside of the fridge, but I prefer to store them in an airtight container in the fridge, just to keep them extra fresh (there is fresh fruit in there, after all). They’ll last up to two weeks. 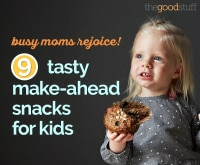 We love tucking a few of these fruit snacks in small baggies for school lunchboxes. 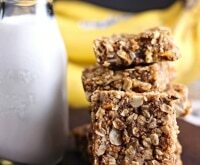 If you’re an athlete or team parent, try mixing up a batch of these delicious treats and enjoy them as a mid-game refuel. Place fruit juice in a large glass bowl. Sprinkle with gelatin powder, whisking until the powder is well mixed into the juice. Set aside and allow to soften for 5 minutes, then microwave on high for 60-90 seconds, just until the mixture softens. Working quickly, whisk in honey and pureed fruit. Pour into prepared silicone molds*. Refrigerate until hardened, about 1 hour. Remove from mold and store until ready to enjoy. Your fruit snacks will keep in the fridge in an airtight container for up to 2 weeks. *Alternate prep method: Pour gelatin mixture into a large glass baking dish. Refrigerate until firm, then cut into bite-sized cubes with a sharp knife. 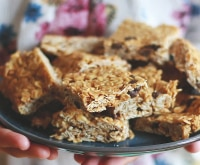 If you’ve tried this recipe, we’d love to hear from you! Post a photo on Facebook or Instagram and be sure to tag us in it with #thegoodstuff. Can’t wait to see what you cooked up! Sounds amazing! But did you mean 60-90 minutes? I think it would be 60-90 seconds. Thanks! Are these quite soft, or are they harder like a traditional gummy? I just made a different recipe and they are very soft, more like jello.. so I am just curious! These are pretty firm, but still chewy. If the texture isn’t to your liking, you can try to adjust the amounts of gelatin. Hope that helps! 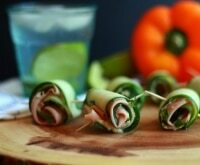 I have been trying different recipes to find the perfect one. So far I have had 2 completely different outcomes. 1st recipe resulted in a very mushy and weird texture. The second recipe was more of a jello texture. I am really trying to perfect a more gummy fruit snack texture. I hope your gives me more of the result I am looking for! !